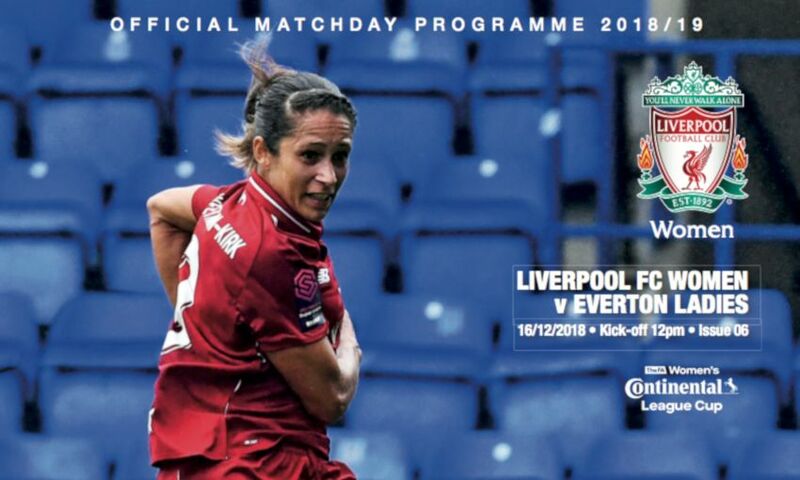 Liverpool FC Women host Everton in the Continental Tyres Cup at Prenton Park on Sunday - make sure you pick up an official programme if you're heading to the game. Kick-off is at 12pm GMT and the official matchday programme will keep you informed and entertained with all the latest Reds news. Inside, there are exclusive interviews with striker Courtney Sweetman-Kirk, who has now experienced the Merseyside derby in both red and blue, and midfielder Rhiannon Roberts, while we also reflect on the two recent away matches at Reading which both produced positive results for the Reds. Manager Vicky Jepson offers her thoughts going into the game while we also hear from captain Sophie Bradley-Auckland. We also have the lowdown on our local rivals as well as all the latest match action, facts and statistics.